Digital HDTV is designed for receiving the digital TB broadcasts from your location television stations, which can bring you the most popular TV shows, news and sports, on both network and local television in full 1080 HD for free. It make your life more fun. 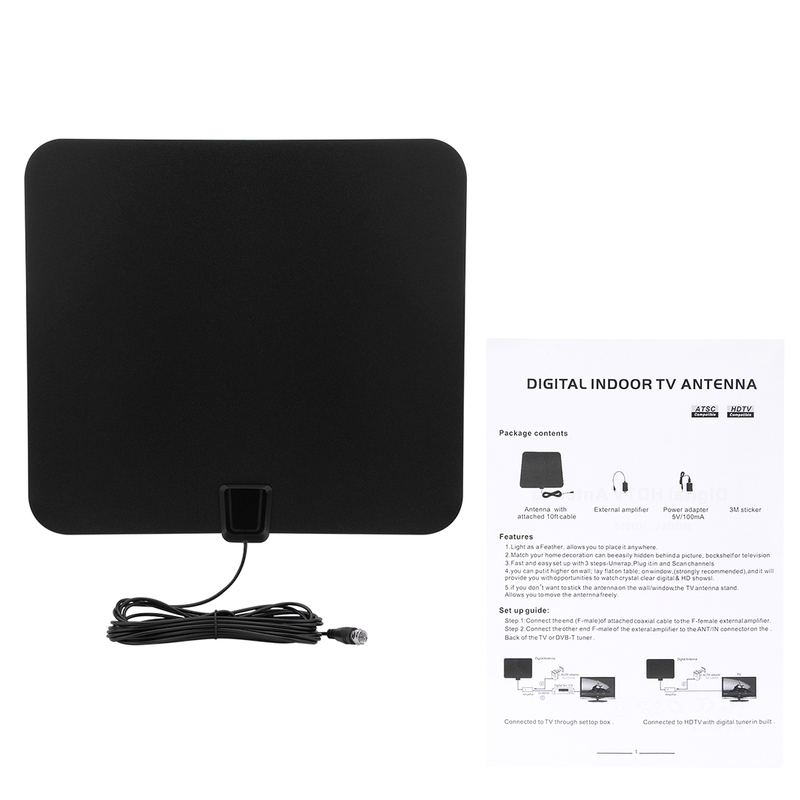 Uxcell digital HDTV Antenna is specially designed super thin and lightweight for home TV application, easy to setup, just lay it on the table or stick it on the window, you can scan the local channels in crystal clear quality. 1.New generation flat design indoor TV antenna with only 0.2 inch thickness. 2.Comes with a sticker at the base for convenient multi - positioning such as windows, tables, walls, etc. 3.Attached hihg quality coaxial cable to make it eays to position the antenna and find the optimal TV singal reception. 4.Specially Compatible with HDTV of various digital terrestrial DVB-T.ISDB-T, DMB-T/H, ATSC) and DAB/FM radios.